Whether you need to completely revamp the lighting in your Tampa, FL kitchen or simply want to install a few new kitchen lighting features, we will pay attention to every detail. A carefully thought-out lighting plan can enhance the aesthetics and overall functionality of your kitchen. 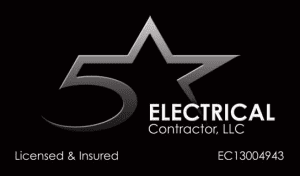 If you know what type of kitchen lighting you want to install, but are looking for someone who can handle the installation process, turn to us at 5 Star Electrical LLC. Recessed lighting – Recessed lighting is a type of lighting that is installed into a hollow opening in your ceiling. Recessed lighting offers a significant amount of illumination without dangling or hanging fixtures. Accent lighting – This type of lighting can add a whole new dimension to your kitchen and highlight its best features. Under-cabinet lighting – In low-light situations, it can be difficult to see those veggies you’re dicing or the dough you’re mixing. By allowing us to install under-cabinet lighting, you can improve the functionality of your kitchen area. Whether you need to completely revamp the lighting in your kitchen or simply want to install a few new kitchen lighting features, we will pay attention to every detail. This is ultimately what allows us to maintain our reputation as skilled electrical contractors who always do the job right. Remember, you don’t have to spend your entire weekend installing new lighting in your kitchen. Instead, you can turn the job over to our team of qualified professionals at 5 Star Electrical LLC.